Does Social Selling Really Work? 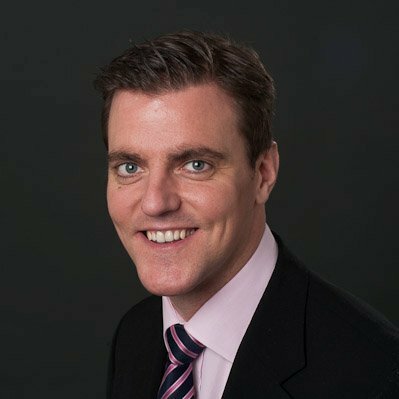 Hear how Alexander Low, Head of Client Development at JLL, has taken a journey with social selling that has shown him how and why businesses should start adoption today. SPIN Selling, TAS, Consultative selling, Solution Selling and now Social Selling, surely it all boils down to the same thing – you pick up the phone, get a meeting, close the deal and start again and the world keeps turning; except the world is now turning a lot faster and technology is changing the way humans interact. I learned my trade in a Glengarry Glen Ross style environment (for those of you that don’t know the reference, just know it’s the more aggressive approach to sales). You had to close the deal or hit the bricks. This was in the very early days of LinkedIn, basic CRM systems, basic marketing approaches, and where the phone was your only weapon of choice. It was a numbers game and you could either cut it as a salesperson or not – pick up the phone, get a meeting, close the deal. You were only ever as good as your last deal. Fast forward 10 years or so and the world we live in is very different. Technology is evolving at an incredible rate; the way we use and interact with technology is changing how we communicate with each other, which in turn is changing the way we are buying. As consumers we are all about the ‘economy of now’ and we control when we buy, not the seller. The seller can, however, influence both positively or negatively how and when they choose to make that decision. We are all acutely aware of how much importance brands put on their perception in the market – and the speed at which this can be enhanced or destroyed due to social media – something they did not have to worry about 10 years ago when they had far more control over their consumers. When referring to the CEB survey in 2014, which was part of their “The Challenger Sale” study & training where 3000 or so buyers of Business 2 Business services were asked different questions around how they buy, there was one stat that really stood out. By the time a customer picks up the phone, invites you to tender, and asks for an initial meeting or sends out RFP, they are 57% through their decision making process of who they are going to buy from. Take a step back for a moment and think about this: they are over halfway through their decision before they have even met you. If you or your business is not at that 57%, you will have a considerably harder task ahead of you to beat out the competition. The customer is more savvy today, they have much more access to information, ‘Thought Leadership’, video content, podcasts, tweets, updates, published content and more – all of which will influence their view on whatever it is they are looking at – positively or negatively. No longer is it just a phone call from the seller to the customer – the customer will consume whatever content they want when they want, not when you tell them to; the customer will come to that 57% of their own accord. Yet this can be influenced, just think back to you as consumer and what it is that influences you about one brand over another. Now put yourselves in your customer’s or prospect’s shoes and think about what will influence them and how you might do that. I am not saying that the same techniques in the consumer world will apply, but the concept is the same and you are selling to the same person who buys from a particular supermarket, car brand or phone brand and then signs off your contract. 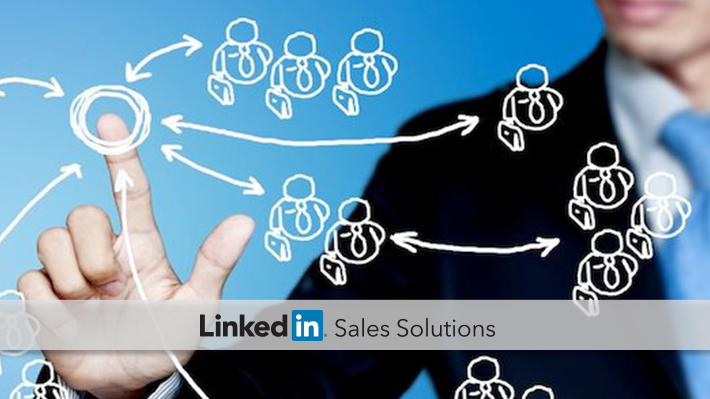 So, back to the original question I pose, does Social Selling actually work? In short, yes. I have been leading the Social Selling program here at JLL, which we launched almost 2 years ago. To provide some context, the Real Estate industry is still very traditional in terms of its approach to sales and marketing, therefore this was a real step change for us as a business. Professional Service firms on the whole, be it accountants, lawyers or surveyors/brokers do not have a traditional sales structure – there are no new business sales teams or account management teams whose sole purpose is to open new doors and grow existing business – it is down to the professionals themselves. Not only do they have to execute and deliver their business, they have to go out and find it. The word selling can even be seen as a dirty word in some departments as they do not see themselves ever doing this - I have worked across all 3 sectors so have seen this first hand. The UK Board took the decision to invest in LinkedIn Sales Navigator and a Social Selling program that we launched in the summer of 2014. I spent the latter part of 2014 getting the business up and running on the Social Selling program through a joint training with LinkedIn and internal one on one sessions in which I educated the teams on the concept of what Social Selling actually means. We then surveyed the business for their use during 2015 and then the success they were having in January of this year. We have had 4.5x return on investment in terms of revenue generated during 2015 vs the cost where the respondents to the survey said that without Sales Navigator they would not have been able to uncover said prospect, make the connection that we already knew the organization in question or meant they could engage in a completely different way. If we take into consideration the pipeline we have generated we could argue that it has a potential of 40x ROI, however this is harder for us to track as some of our sales cycles are years long so this could well be spread over a long time frame. We also have different business lines, with different services, sales cycles, price points and levels of seniority using the platform and engaging with the program – evidencing the concept that Social Selling works for everyone. Those that are engaging with our Social Selling program have seen their average SSI - Social Selling Index (more information on SSI, including your own score can be found here ) increase from 38 to 50 against an industry average of 14. I know there is much debate around SSI and that just having a high score does not necessarily make you a better sales person. I would agree BUT what SSI does show is how your team and business is engaging with your prospects in different way, influencing them and so forth – think back to the 57%. However, if you are thinking about engaging in a Social Selling evolution in your business, this will not give you the silver bullet to revenue increase, you still need to have good sales people and a robust sales process in place. Once you are in that meeting, it is up to you or your team to close the deal. A Social Selling program will enable you to engage with your prospects in a more meaningful way and influence them in their 57% or more, however, this must also be viewed as a behavioral change in the management process. It will take time and effort – we are only 2 years in and the potential is huge. I see the future of Social Selling as a way for organizations to enable their prospects or clients to make their purchasing decision as easy as possible, not selling them a reason not to. To learn more about how to successfully manage social selling adoption, check out the eBook “The Sale’s Manager’s Guide: Driving Social Selling Adoption and Revenue”.